I'm a tad leery of the Flying/Shielding/Deflecting cape. Well, the Shield and Deflect are simply how shields are built in the core book. The Flying I discussed with Avenger, and he indicated he thought it'd be fine, but if you're against it, perhaps I could substitute it for Slow Fall instead? As far as I know, Wing Suits glide through the air. This allows you to control where you go laterally while slowly descending. To me, the Wing Suit is the epitome of the Gliding flaw on flight (with the only better example in my mind being a hang-glider). Slow fall only allows you to fall straight down in place. If in fact he wishes to model his 'cape' after a Wing Suit, (or a better example may be the suit from Batman: Dark Knight) I think that the Gliding flaw would fit it best. Another alternative I can think of might be Slow Fall linked to Super Movement air-walking though I still think this is a much worse fit for what he is trying to model. 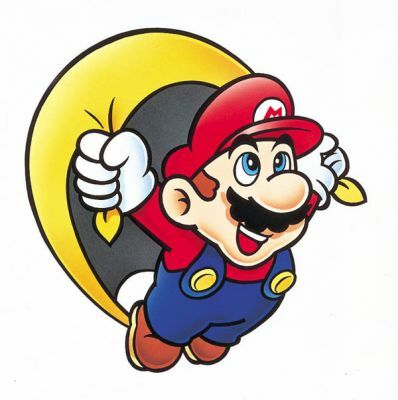 Should capes that are light/strong enough to allow a wearer to fly (er, glide), and which can also billow out to distort his silhouette enough that attackers perceive the outline of his body differently (Shield), and can deflect arrows (Deflect/Slow Projectiles), fall into the category of "normal equipment which can be purchased or made without requiring Stark- or Wayne-level brains or bank accounts"? And if so, are there other "superhero costume" things which could be available as Equipment in this setting? Weighted/Bladed capes? Taser-gloves? Okay now I see the issue. I think that cape would cost a lot of money. It is probably better if modeled as a Device. They fabric used in the Dark Knight seems pretty high tech after all. Weighted and bladed capes I think can be equipment - all you have to do is sew nickles or razor blades to the end of your cape. the 'shield-cape' can probably be equipment - all you have to do is take a normal cape and hold it out in front of you and you and suddenly attackers can't see where your actual body is (Batman does this all the time). The 'deflecting cape' can probably be equipment - In medieval times, a weighted cape could be used to disarm foes of a bladed weapon like a shield. I can reasonably see a cape made out of a durable material like Kevlar being swirled through the air to catch and deflect an arrow or some other weapon. This is just all in my opinion. Anyone else got two cents? I've no objections to not allowing Flight in equipment, as it's a valid point. However, the Shield and Deflect are how the core book builds shields, and I have issue with that not being allowed in a cape. If I'd described it as a shield, i.e. as a piece of wood or plastic covering his forearm, I doubt I'd be taken up on it. But you seem to have qualms about the same mechanical effect from a kevlar cape covering the entire back of his body, and likely much of the side. I don't see how that'd be hard to acquire as Equipment rather than a Device. Not to mention Shield 1 is lower than the higher Shield values you get from an actual shield. Weighted capes and taser gloves I'd allow for similar reasoning. Weighted capes are low tech (stitch something into the bottom of the cape), and taser gloves, well... the sample utility belt includes Power Knuckles, a similar concept only as Strike 4, not Stun x.
I think really it comes down to where we draw the line for comics vs reality. It has been proven numerous times that things like batmans grapple gun etc don't work IRL but for the purposes of M&M such things are generally considered within the realm of Equipment. So I can see a low level flight effect with gliding fitting under the comic deffinition of Equipment just as reasonably. But really its where you draw the line that its just too much to not be made with SCIENCE! A normal cloak that can block and defelct like the shield /deflect slow projectile powers makes sense to me as normal equipment kevlar or no that is possible. Having the same cloak allow gliding might be a bit much but seems to me to fit within the realms of comic reality. Thing is how often do you have a hero with equipment type abilites in comics that isn't rich? all the "super-Normals" pretty much are from my limmited knowledge at least. I think Mythbusters showed it was possible to have a man-portable grapple gun. It just wouldn't be a grapple pistol, and more like a mortar. For flight, why not buy a hang-glider with the collapsible feature? Mythbusters did a special on bat devices that proved while you could have a man portable one it wasn't utility belt sized by any stretch more like something between a rifle and a bazooka. Also discovery did a big thing on Bat tech after begins came out showing why most of those won't work. Now with fuzzy comic science we can ignor power consumption and battery size etc however. Much the same with the gliding cape physics IMHO. Now could Wayne Industries make one that works sure but its not something commonly available if thats the constraint on equipment. This touches on something I'm building right now. The character I'm designing is from the Lor Republic, stated to possess energy and anti-grav tech. So, an Energy Sword wouldn't be out of place there as equipment (as long as it is built with Strike, not Corrosion, mimicking the way that other equipment is built). Would him possessing such a blade be considered equipment for game play when he is not always in his desired environment, like FC? On one hand, I'm inclined to say no, since it is not easy to find here on earth. However, an energy blaster and energy rifle is listed as equipment, so an energy sword that adds +1-2 on the damage of a standard sword mirrors the effects of energy on firearms (+1-3 damage). I belive its not so much your native setting that determines whats equipment so much as the setting of the game so as blasters etc are not common in FC they would be best buil as devices. I belive the lists are just examples and guidlines fo what might be equipment for various settings. I'm with Durf on this one. I think they're listed as Equipment for settings where they'd be common enough to qualify as Equipment. So it looks like we have established the grounds for this argument one way or the other. Now it just seems like we need a ruling. Flight cape - not common - device - Yes/No? Shield cape - common - equipment - Yes/No? Deflect cape - common - equipment - Yes/No? Guess I have a place for those unused points. Sorry for jacking the thread. Well, I think a Gliding cape is Equipment, especially if we're trying to be Silver Agey (a genre not noted for its realism, but since we seem to try to do both... bleh). But, since I can see why people would think it isn't, I can easily agree with it being a Device. Shield and Deflect in a cape? Well, honest answer: had I bought a shield, which has the same Shield and Deflect abilities, would those two be a concern? Damn skippy they wouldn't. I agree that Deflect, Force Field (Protection as Free Action / Sustained Duration), and Shield (Enhanced Dodge) should be as available as Equipment in a cloak/cape as they are in a shield. As was previously stated, sword-&-cloak was a fighting style once upon a time. Gliding in anything smaller and less awkward than a hang-gliding or BASE-jumping rig, however, screams "Device!" to my ears. I may just be splitting hairs now, but I think a wingsuit should be equipment. however if you are using batman's super-cloak-thingy its better as a device. I'm not seeing your logic here, since the book describes shields as being Deflect/Shield. If you'd asked for a golden bracer or glowing green ring with the same Shield and Deflect, damn skippy there'd be concern. EDIT: Also, I did say that how common/available something is will be a factor on if it's Equipment or a Device, not just how "realistic" a given item is. There's a world of difference between a magic item and a large sheet of stab-proof Kevlar. One I can get via Google, one I can get via Google and I won't have been scammed about its effectiveness. But really, I can't be bothered arguing as points are being repeated. I just want a yes/no answer. Yes, I am asking you, all of you (but primarily the other five Refs, speaking as Refs and not players), what level of... "mail order superhero-ness" do you feel is fitting for this board's setting? Well things like high-explosives and gas grenades (Or micro gas pellets) are kinda staples of equipment type stuff here so really it doesn't seem like a stretch to me. For referance I don't think anything heavier than a dense cloth would really be needed for the deflect/shield aspect Kevlar is like bullet proof he's talking about deflecting slow projectiles and entangling fists/weapons to increase defense I don't think really theres anyway those aspets don't work as equipment. The gliding is tougher but in comics gliding on what amounts to a regular Cape is common its not until batman Begins that any atempt to explain the aerodynamics is made I really see it as in the realm of comic book fuzzy logic. Perhaps add the check required flaw: acrobatics to explain why it works? Part of it being the skill of the user?